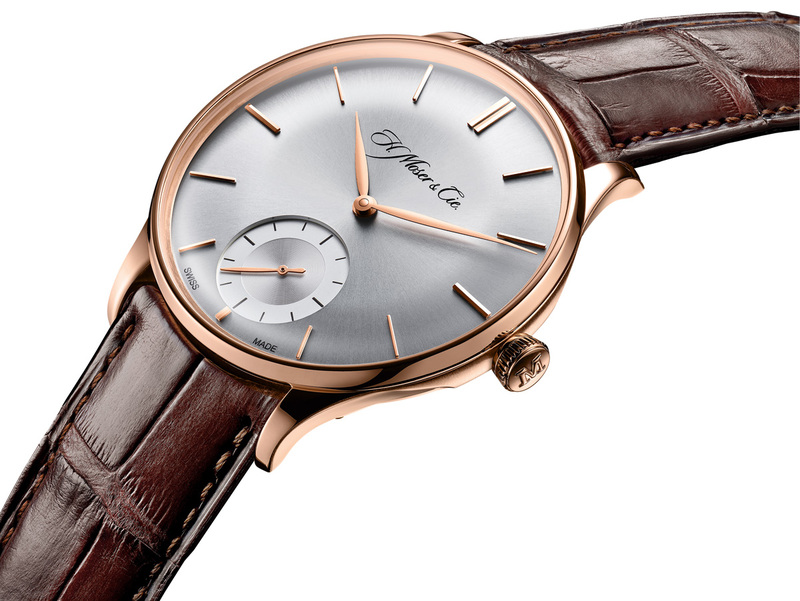 H. Moser will soon launch the Venturer collection, a new line of timepieces with a vintage inspired look. 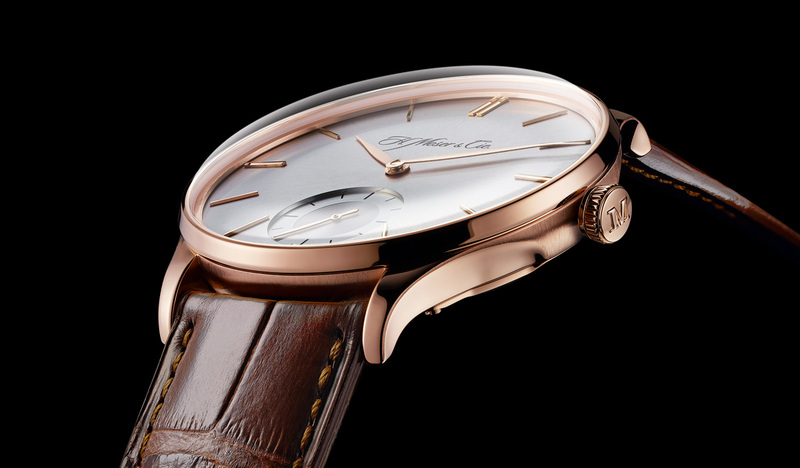 The first of the new range is the Venturer Small Seconds, equipped with the newly developed cal. 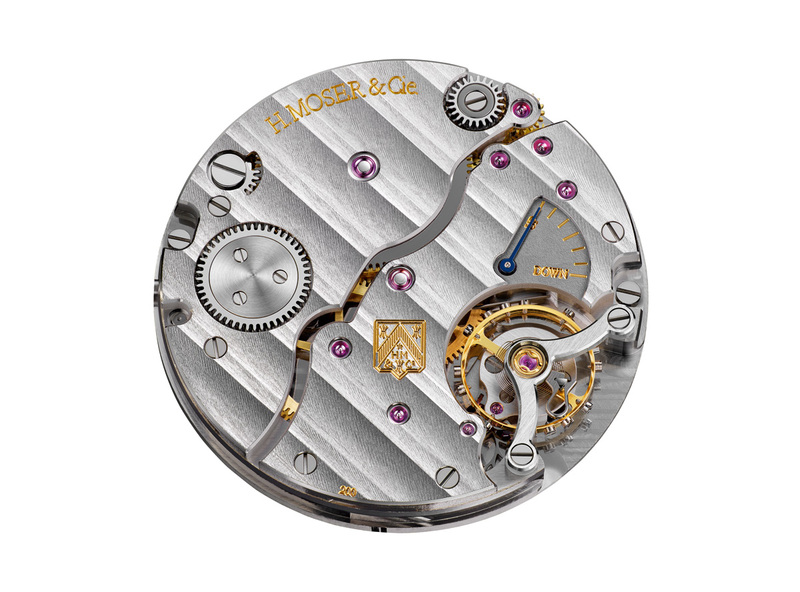 HMC 327 which is the first Moser movement to feature a silicon anchor and escape wheel. 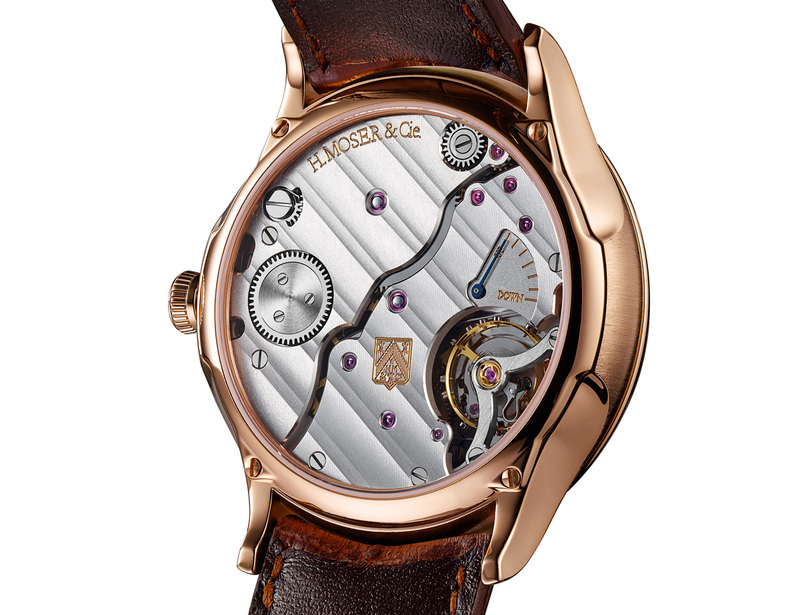 Since its inception H. Moser has essentially relied on a single aesthetic across all its timepieces. But with the revamp of the company led by the new owners, Baselworld 2014 will see H. Moser presenting the Venturer, a new line of timepieces which carry the characteristic H. Moser aesthetic but with a slightly vintage look – think domed crystals and convex dials. The first of the new line-up is the Venturer Small Seconds, a time-only wristwatch powered by a new movement. The Venturer Small Seconds has a narrow bezel, convex dial and matching curved hands, as well as a domed sapphire crystal. It retains the signature flanks of the H. Moser case, but at 39.2 mm wide and 12.5 mm high the Venturer has relatively slim proportions. 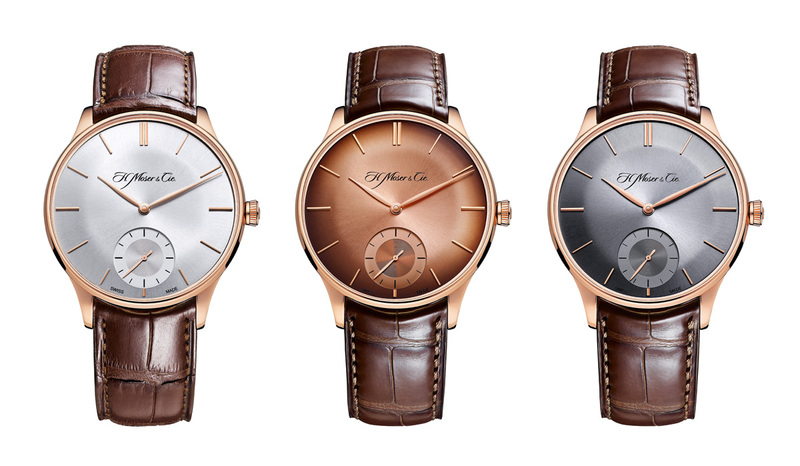 Available only in red gold for now, the Venturer Small Seconds offers three dial options: argenté (silver), ardoise (dark grey) and an entirely new finish, red gold fumé. 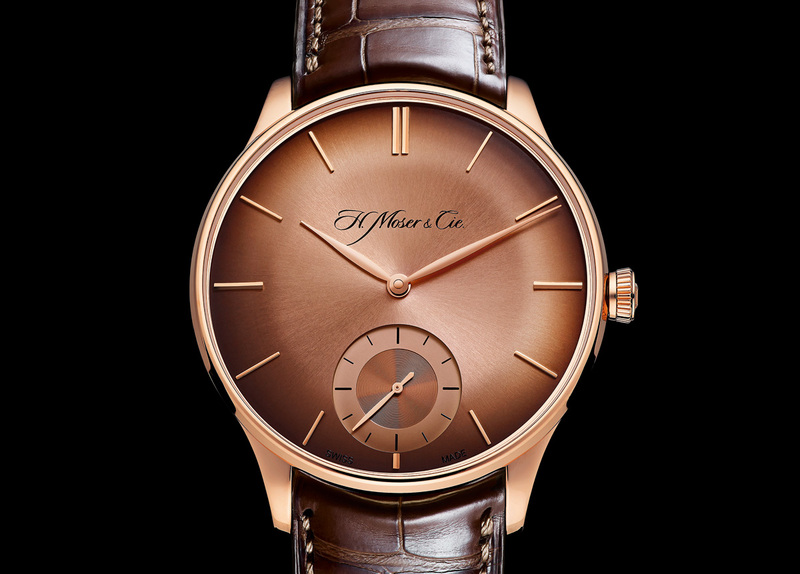 The latter is a dark, red gold finish in the striking, two-tone fumé that is nearly synonymous with the brand. Inside is the HMC 327, a new calibre designed to be efficiently manufactured and assembled. That means the number of screws and rubies that are different in size is minimised, for instance. And in contrast to earlier Moser calibres, the bridges have minimal engraving, just the brand and its coat-of-arms. The HMC 327 is also fitted with a non-magnetic and lubrication-free silicon escape wheel and pallet fork, the first time Moser is using this material in its movements. Like all other Moser movements it is fitted with a Straumann hairspring, made by Moser’s sister company Precision Engineering. 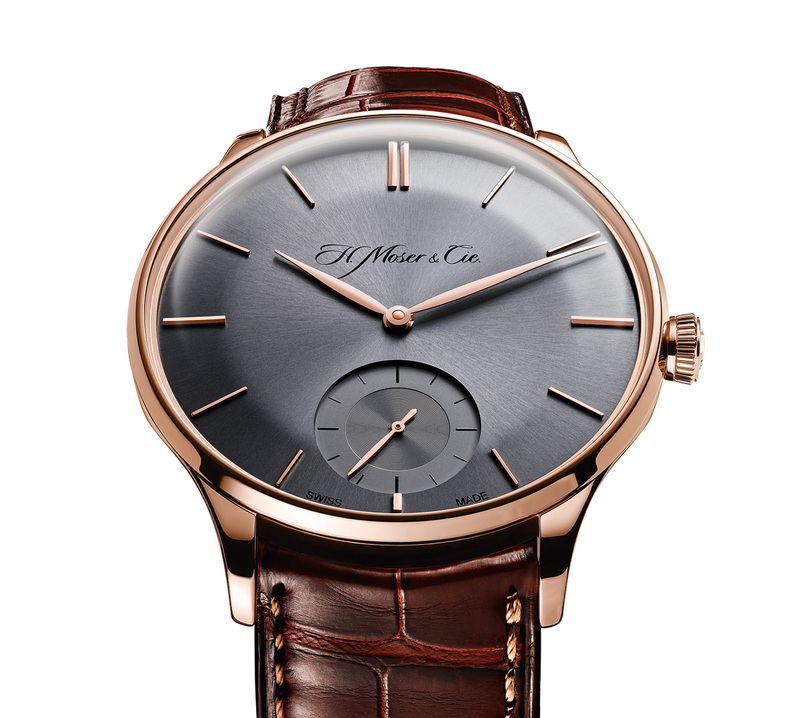 And the HMC 327 has a three day power reserve, which is indicated by a display on the movement. The Venturer Small Second will retail for US$19,500 before taxes. It is the first of a new range of watches offered by Moser, which joins the existing collection, comprising the Perpetual Calendar, Mayu and so on, which has been named the Endeavour. A third range of timepieces will be unveiled in 2016.